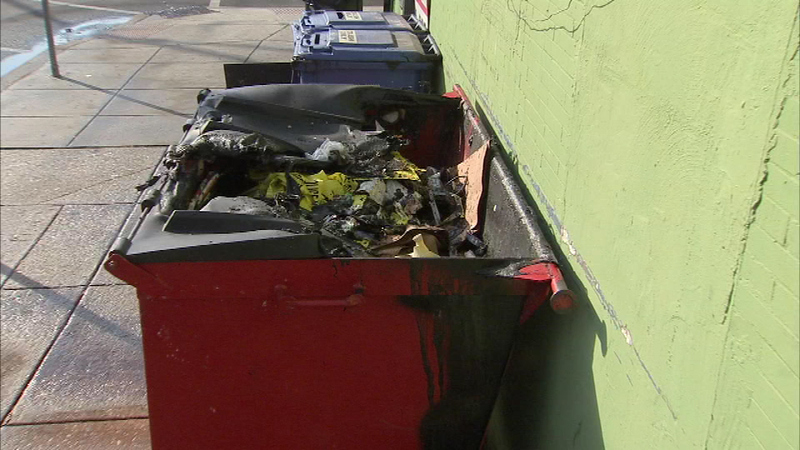 Police say an arsonist torched seven cars and a dumpster within a five a half hour period. 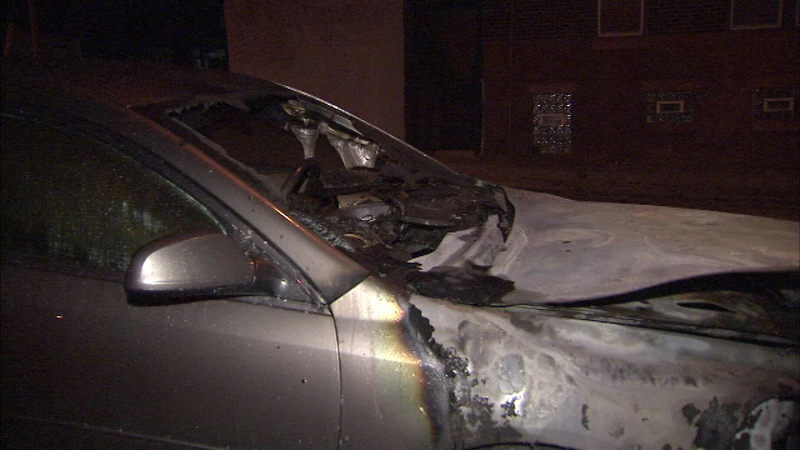 WEST PHILADELPHIA (WPVI) -- An arson task force has been assigned to try and solve a case in West Philadelphia. 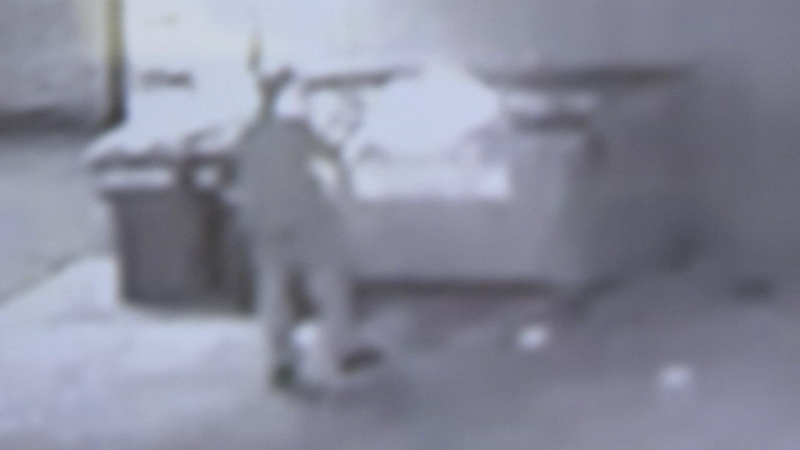 Action News has obtained surveillance footage that captured the arsonist in progress. It happened around 4:20 a.m. Monday at a minimarket at 56th and Master in West Philadelphia. In the surveillance video, a man in a hoodie is seen walking up to a dumpster and pouring some type of fluid into it. 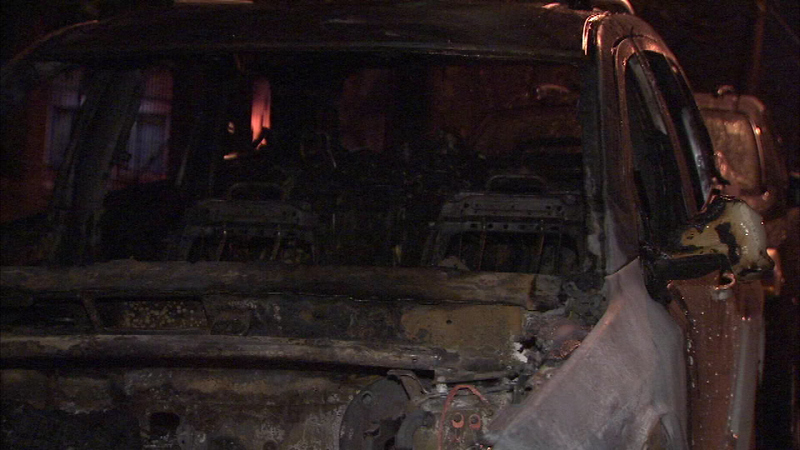 Police are investigating an arson spree. Seconds later, he ignites it and the dumpster bursts into flames, right below the bedroom of a family sleeping upstairs. 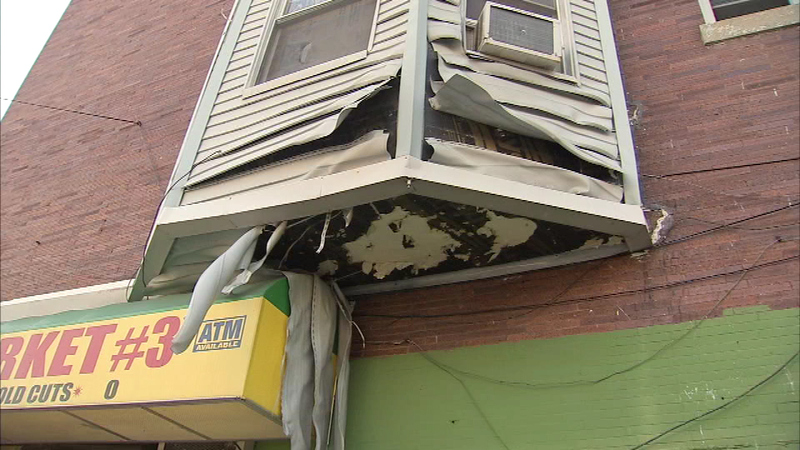 "We're very fortunate, the fire department responded quickly and it was against a wall that was cement, so it didn't ignite the entire building," Philadelphia Police Lt. Johnny Walker said. 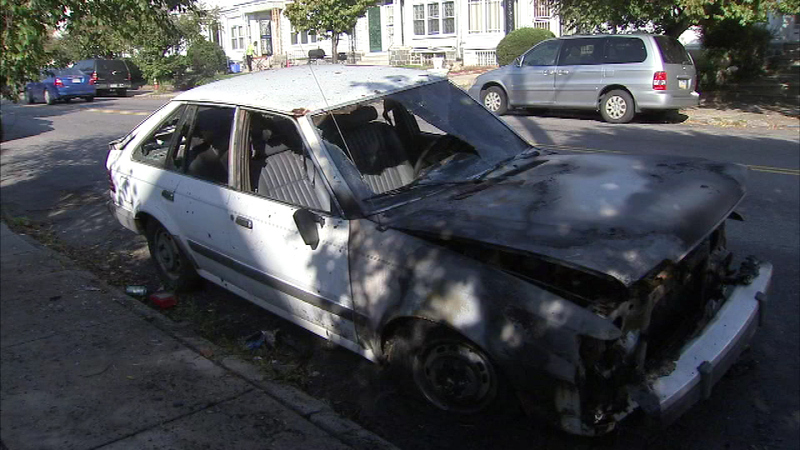 In the 5700 block of Jefferson, the culprit torched a car belonging to Delores Hill. "My next door neighbor called and told me my car was on fire. I said, 'On fire? You got to be kidding,'" Hill said. 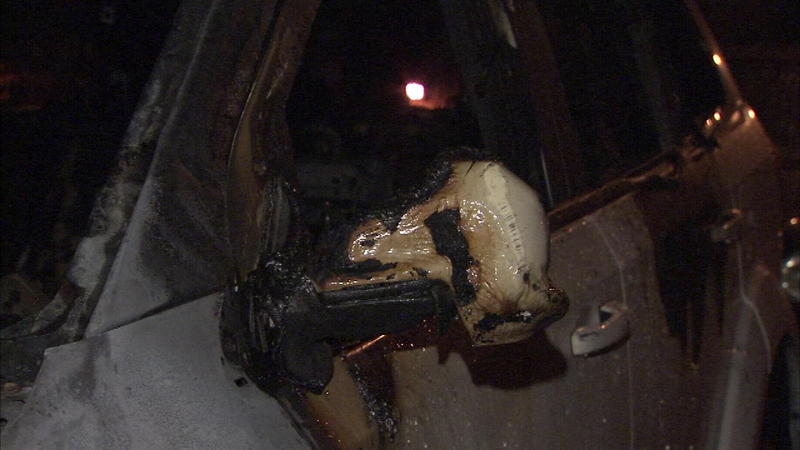 In the 6000 block of Columbia, police say he torched four cars leaving people in the area on edge. "It's terrible. I'm going to put my car in the garage. I'm not taking any chances, not at all," neighbor Angelique Adams said. 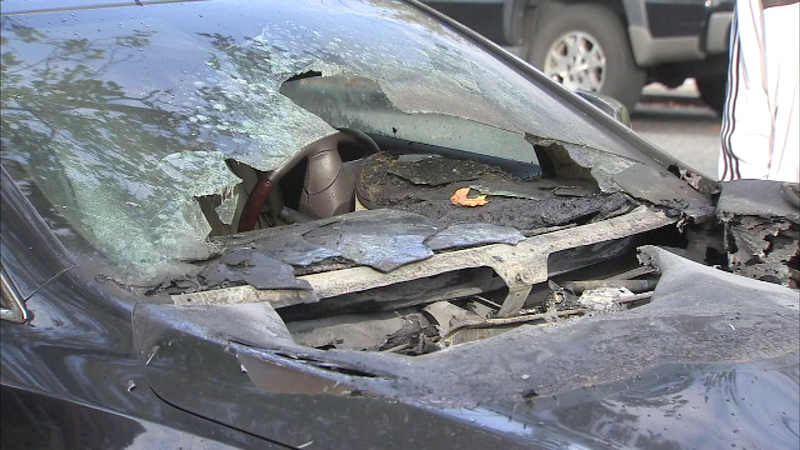 In all, police say the arsonist torched seven cars and a dumpster within a five a half hour period overnight. "It seems like he was just progressively going through the neighborhood lighting fires to see the fire response. We're not quite sure what his motivation is at this point, but we have a lot of damage out there," Walker said. With the arsonist still at large, many worry about what else he'll do. "I'd be more than willing to keep my eyes open and encourage everyone that I see to do the same," resident David Fattah said. Agents from the Alcohol Tobacco & Firearms are assisting in the investigation. Investigators are hoping somebody recognizes something about the person in the video that could lead to his identity and whereabouts.